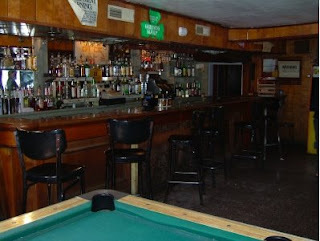 You asked for it (or maybe not), I promised it (I did), and here they are: Pictures of the bar!!! What happened? 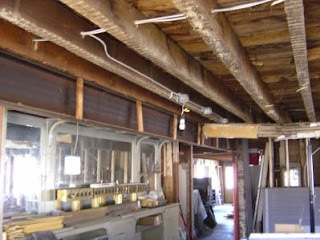 Not sure where to start, but we wanted to remove the air condition duct above the bar, get rid of the faux wood paneling on the walls, and expose the ceiling joist. 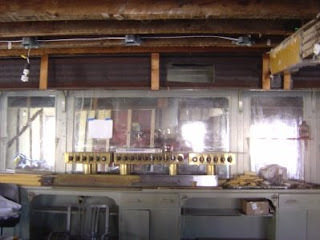 In other words, we started stripping down the bar room. 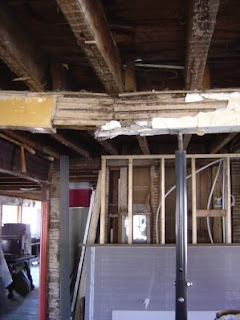 So what is going to happen pretty soon, is that the existing I-beam will be removed, and the broken wooden beam will be replaced by an I-beam and a column to hold it up. Once all that is done, we can start to reassemble the bar. Ya gotta put the pool table back! I feel with you. Unfortunately the pool table had to make space for the ten lane bowling alley. I say, ya gotta put the likor back! OK, booze first, then the pool table. I can live w/ that.